You say, “She looks fabulous!” She’s 50, 60 or even 70, but she looks a decade younger. Science is the catalyst. Breakthroughs over the last two decades, from stem cell growth factors that promote a proliferation of new skin cells to retinol solutions (R-OH) which accelerate cell renewal and promote collagen synthesis, slow down the aging process and make a youthful appearance possible at every age. At Cloud Nine Skin and Body Care we believe beautiful skin is more than just a notion of hope. Beauty, after all, is not an age. 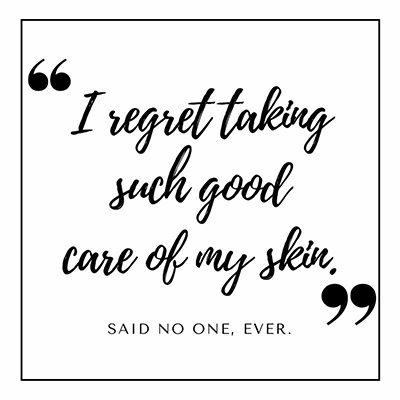 It is an attitude, and balancing professional skincare treatments with a solid home care regimen designed for your specific skincare concerns is a sensible place to begin. So if your long-term goal is having the healthiest, most resilient skin possible, Cloud Nine Skin and Body Care will help get you there and we back up our claim with science, too.